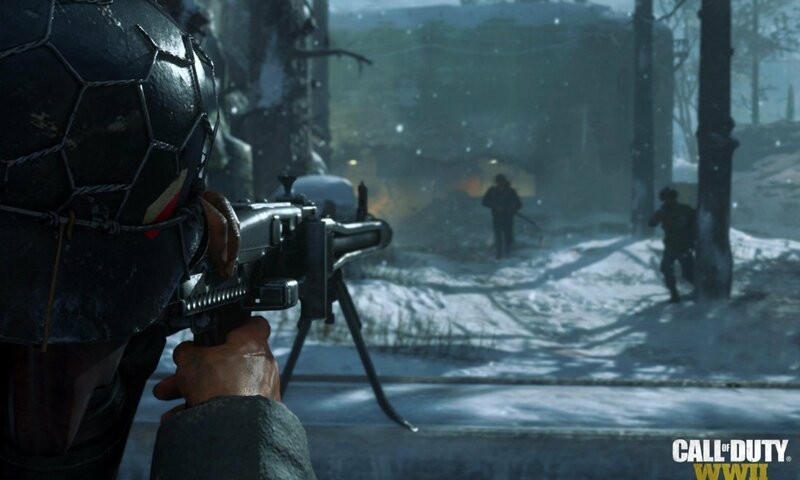 Sledgehammer Games managed to surprise me with its 2017 World At War II release although I thought the game for Call of Duty franchise was irretrievably over. Several years have passed since I’ve played any COD game, actually, Black Ops 2 was the last title that I felt excited about. All following games just didn’t click with me, some of them made great sales numbers, some failed, but there’s been a very long time since my crew and I would get together in the lobby at the same hour to have a sleepless night full of military-style adventure and spectacular combat Call of Duty had to offer. I must admit, I miss those times playing Nuketown or Gun Game for hours until my eyes would become unable to see the objects on my TV screen clearly. To be honest, I was starting WW2 experience with zero expectations, but three years of working on the game by a clearly talented team of developers showed great results. The title is a masterfully executed graphic action that delivers a well-built campaign, a multiplayer content that will get you addicted to it from the first minutes of the gameplay (take a good care of your eyes), and a brilliant, thrilling Zombie experience. Since COD WW2 consists of three main modes, my review is also broken into sections to provide as much detail and depth to each part as possible. Let’s begin with the campaign mode which has always been a starting point for me in any COD game. I found myself being unable to look into the multiplayer experience until I’ve enjoyed playing solo to the fullest and faced all challenges the story had to offer. The good thing about the single-player mode is that it’s often not too lengthy and I won’t have to spend endless hours to get the satisfaction I crave. Very few of Call of Duty campaigns have left me unfulfilled; an average solo experience is entertaining, fun to play and takes less than ten hours to complete. WWII campaign meets every criteria, it is full of engaging missions that will keep you highly engaged till the end. My deep sympathy goes to supporting characters like Zussman who I personally find to be more entertaining than Red. I am more than pleased with voice acting and facial animations that make main characters like Pierson and Zussman more alive than ever. I also really liked the fact that you now have the option to take defeated prisoners as opposed to killing everyone. Regardless of whether COD release failed or succeeded, shooting part has always been beyond expectations. 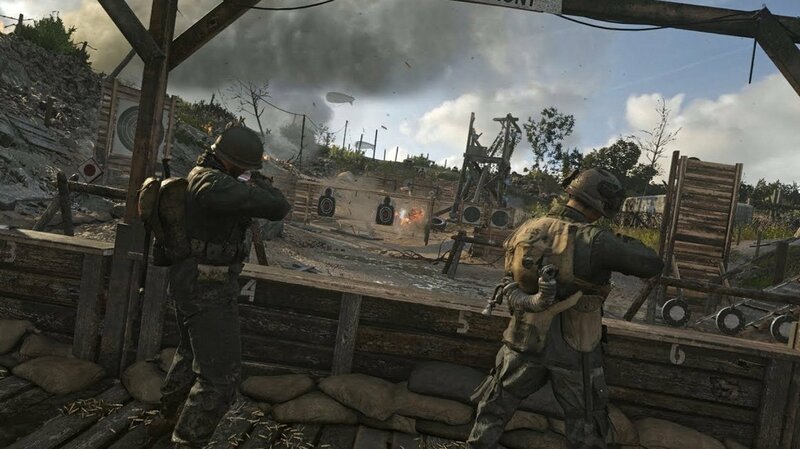 The most important feature that everyone would agree with me on, is that WWII is finally back to the roots featuring realistic weapons and scenery. No more futuristic armory hassle! Sound effects accompanying each weapon shot and headshot sounds greatly contribute to the level of players enjoyment as well. While I don’t find this FPS to be the best game on the market in terms of graphics, it is still quite spectacular. It surely deserves to be called one of the best visual COD release with its detailed maps and striking environments, but Battlefield 1 outperformed WW2 with its outstanding combat areas, city ruins and such. Although the missions in the single-player mode are quite entertaining, they resemble the challenges from the past COD titles a lot and don’t give an impression of newly designed stories of their own. In my opinion, this is due to the same old problem of the lack of control given to the players. An added system of resupply feels very awkward in Call of Duty WW2 gameplay. It allows you to get equipped with different ammo items, health packs or useful skills by engaging each member from your group. It may sound cool on paper, but when you find yourself in urgent need of any of the items but no one from your team is within reach, you are trapped. I would suggest improving Al mechanism in order for the feature to be beneficial to players. For example, pushing a specific button to get ahold of your teammates as opposed to trying to find them in the game would work a lot better. There were designed to keep players engaged during the cinematic moments including a variety of tasks such as fighting a Nazi etc. I would rather enjoy watching a cutscene as opposed to trying to complete a pointless task. The most annoying part is that if you are not fast enough, you will 100% fail the mission and will be asked to do it over and over again, thus you will find yourself getting more frustrated than engaged into the gameplay. I believe, such technique is very outdated and should be completely cut out from any modern FPS game. Now we got to the main experience of any COD, which is, of course, WW2 multiplayer mode. My COD WW2 multiplayer review will start from the words that it is simply a beautiful, dynamic experience offering a lot of variety in the ways you can enjoy it. You are offered to choose from five specializations for your character and which multiplayer mode to participate in, regular Deathmatch, let’s say, or amusing Gridiron that plays like a football game with weapons. 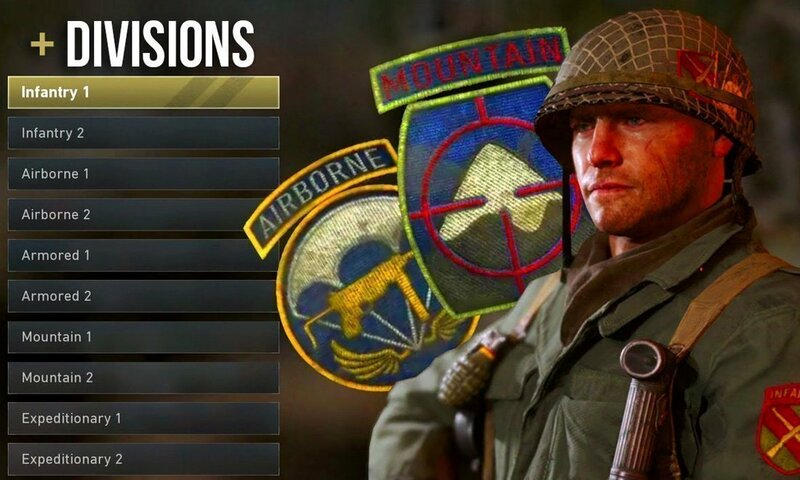 As soon as you start the multiplayer, you will choose from five categories offering unique skills and unlockable perks for your soldier, presented by The Divisions system. You will be able to switch between them at any time in case you want to explore other abilities. Depending on your choice, you will be unlocking Division specific perks along the way, however, all COD WW2 weapons are available for usage regardless of the class selected. As you progress, the Division will be prestiged and rewards like unique weapons will become available. It’s a strategically important decision to select the Division that fits your playing style and needs the most. For me personally, Mountain’s and Infantry Divisions felt like the best fit with their abilities to move undetected and get extra weaponry. As in any COD, the Scorestreaks appear as blue circles on the screen that makes them very easy to track. 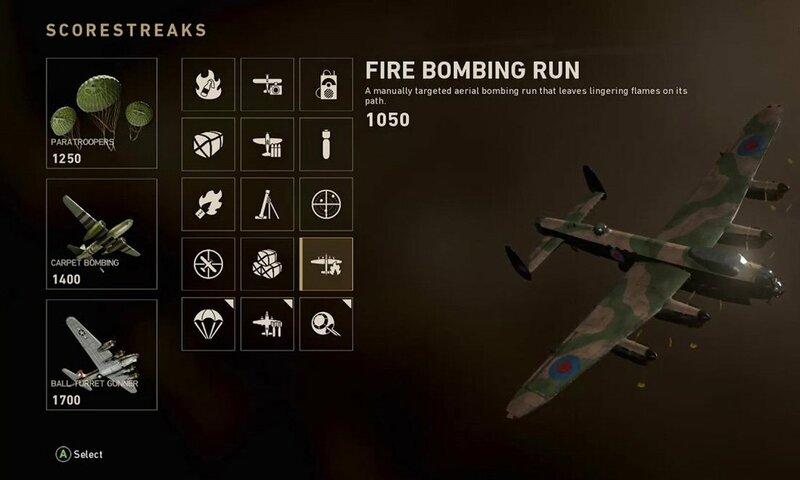 There is a total of 15 different Scorestreaks and your goal is to complete various goals during the gameplay to be able to earn more rewards towards whichever Scorestreak has been selected. 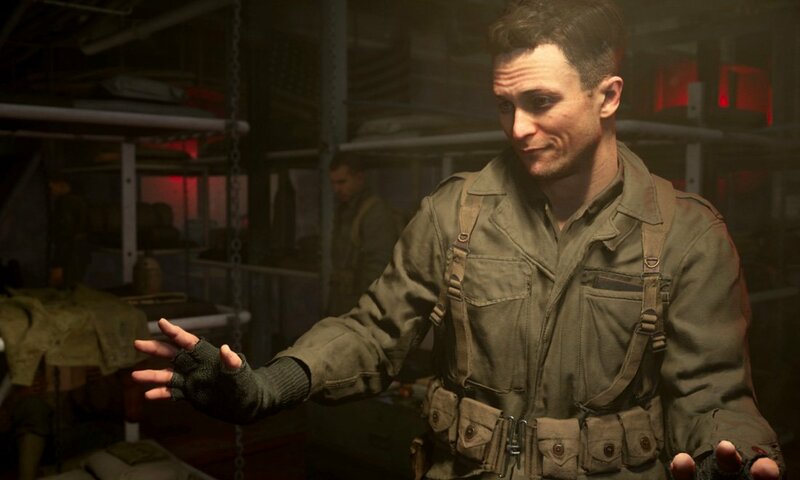 Although I am satisfied with the WW2 social hub, I believe it should be an optional get-together spot for the players willing socialize more and watch their character in the third person as opposed to a mandatory location to get Daily Orders from. COD WW2 multiplayer is very enjoyable and offers lots of maps with great looking visuals. The biggest flaw is still spawn-camping that in case of successful shot can get you up to ten medals. I wish something could be done to prevent players getting engaged in this annoying in-game behaviour, but for now, campers are still there and doing great. Call Of Duty WW2 Zombies features several nice additions to the usual functionality of the mode. You are now able to choose your own character and four main roles to play going either with Medic, Support, Offense or Control. Each category comes with own set of abilities and skills. My favorite is Medic as it allows me to become invisible for Zombies for a limited time plus lets me save a special ability to be used in a tough situation when a member of my crew is down, for example. If you are in the mood to play solo, you may find the newly playable Zombie prologue very entertaining. My goal was to last as many rounds as I could before ending the guide as I was enjoying it too much. Things that went through insignificant changes are the game mechanics and new Jolts currency that now can be transferred to any of your teammates to help each other stay afloat. 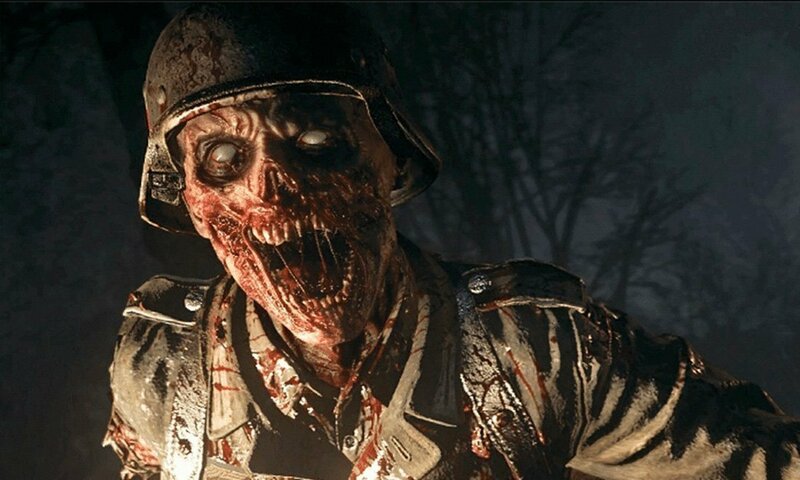 Comparing to the previous COD Zombies, WWII mode takes you to the abode of horror and evil. I found myself to be happy to return to the setting of the World War II that got me corns on my fingers from fiercely pressing the buttons on my PS4 controller. 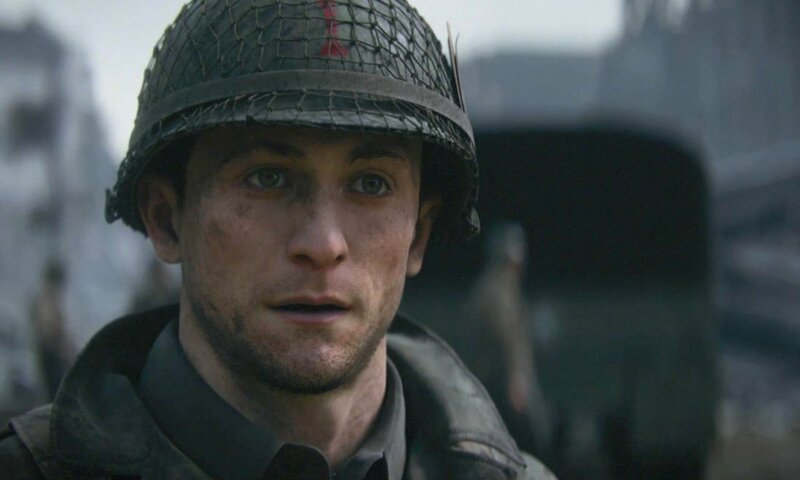 Call Of Duty WW2 ratings is very mixed due to the level of accumulated frustration of the series loyal fans over the past three games, on one hand, and to the endless enthusiasm of new fans, on the other. I find myself to be in the middle as my expectations for the game were very low but the whole experience left me very satisfied and wanting to spend the nights playing COD with my crew like in old times. No matter what you are looking for, whether you prefer PS4 or Xbox One, COD WW2 will deliver it as each of three mods almost feels like a separate game and is completely different. The campaign offers a great narrative, multiplayer is more than addictive and Zombie gameplay will keep you hooked trying to get to the bottom of every mystery. 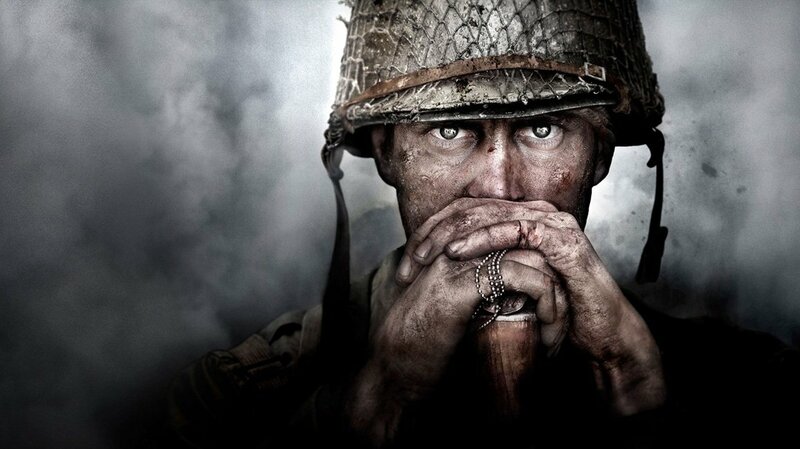 WW2 is the game that got fans and mine interest back and regained the trust in the legendary series. I am very excited to spend upcoming months killing Nazi and other enemies in the environments of the most violent and bloodiest military action of the 20th century, realistically implemented by the title developers. Have you given a try to COD WW2 yet, what are your most and least favorite weapons, features and game mods? Share our thought with us. Note: This game includes micro-transactions. You can pay real money to buy credits to get loot boxes which contain cosmetic items and XP buffs.